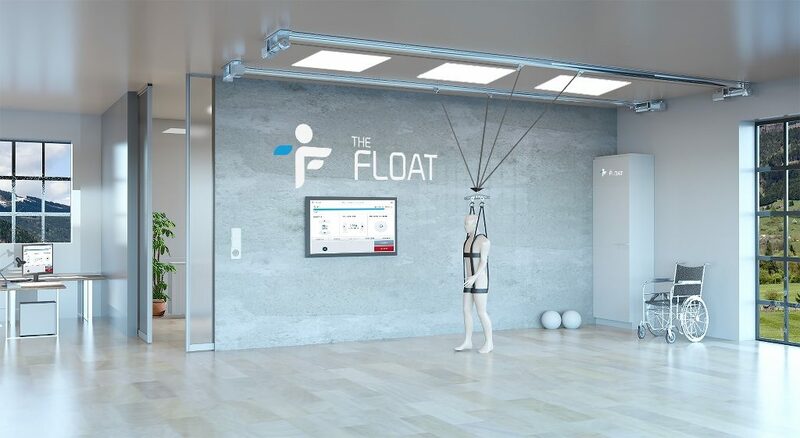 The FLOAT is a dynamic multidirectional overhead body weight support (BWS) system that supports patients with gait impairments from stroke, incomplete SCI, Parkinson or others in the training and rehabilitation of their natural locomotion after the initial ability to walk is restored. 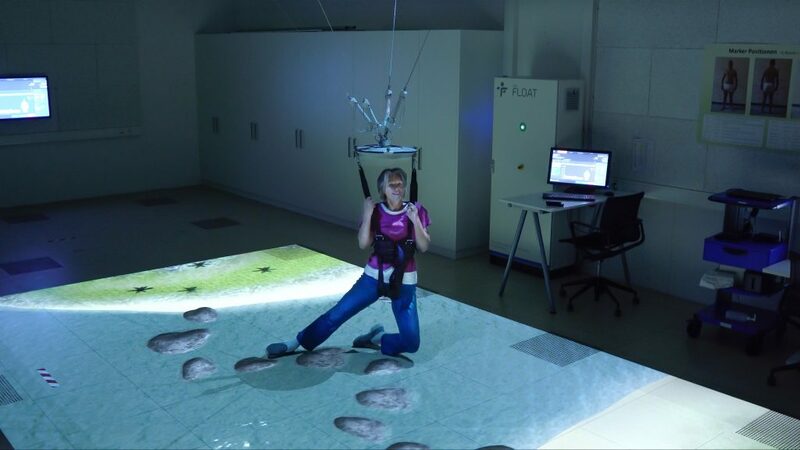 It’s unique flexibility to adjust to a patient’s needs makes it the ideal complement for faster and more efficient gait rehabilitation after an initial training with an electromechanically assisted device like the Gangtrainer. 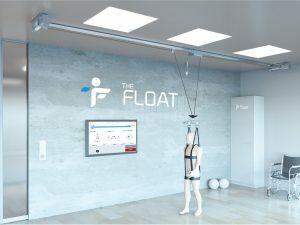 The unique multidirectional freedom of the FLOAT allows to combine the system with a treadmill or tools like stairs, ramps, balance plates or augmented reality projectors. 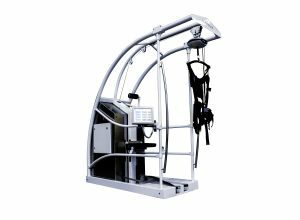 The unique features of the FLOAT combine an adjustable body weight support and horizontal forward or sideward forces to ensure a natural posture and gait kinematics for a patient thus ensuring the most realistic and effective training for gait rehabilitation in a safe environment. 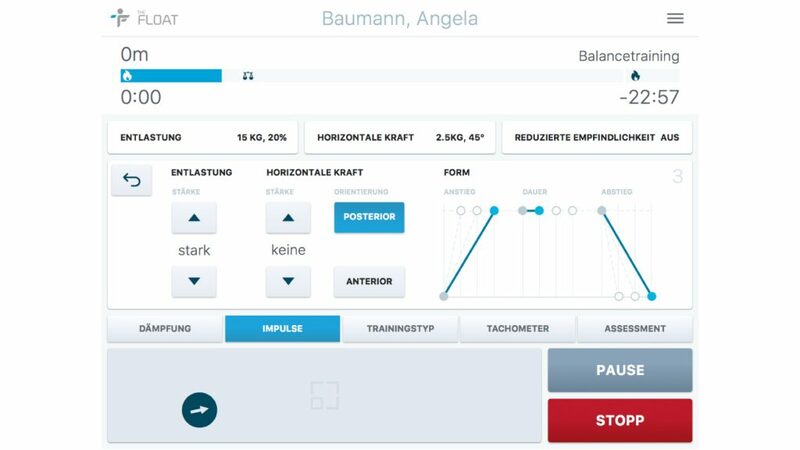 An intuitive user interface and adjustable training templates allow a fast and flexible training start and control during the training. Training with freely programmable trainings offer horizontal assistive forces for gait support or impulses for balance training open the possibility for new gait trainings with challenging programs leading to improved results.An intuitive user interface and adjustable training templates allow a fast and flexible training start and control during the training. 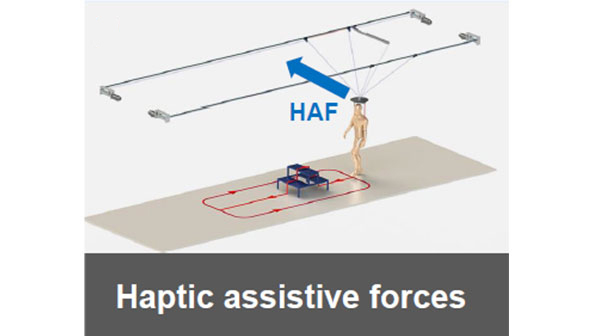 Training with freely programmable trainings offer horizontal assistance forces or impulses for new gait trainings with challenging programs leading to improved results. Would you like to get to know more about the FLOAT? Send us a request and we will come back to you shortly.